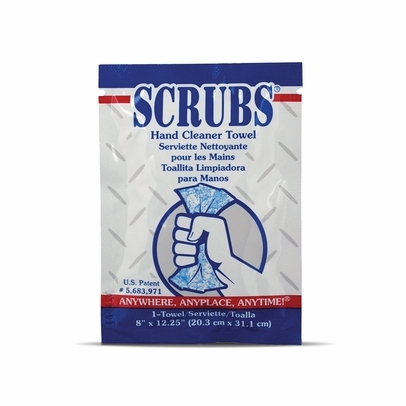 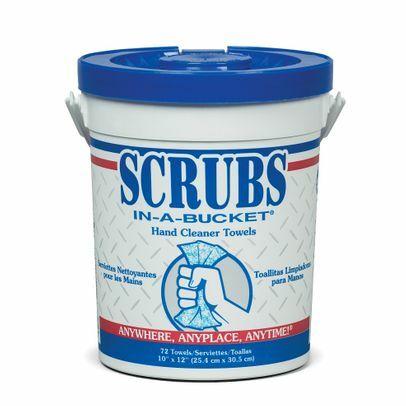 SCRUBS® Hand Cleaner Towels combine an advanced cleaning formula with a strong, dual-textured towel to thoroughly clean hands and surfaces ANYWHERE, ANYPLACE, ANYTIME!® The clean, citrus-scented formula loosens and dissolves industrial soils while leaving hands free from dryness and irritation. 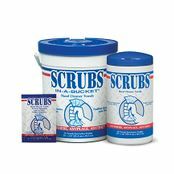 The Rough Touch� blue towel locks in soil to prevent it from transferring back onto hands and surfaces. 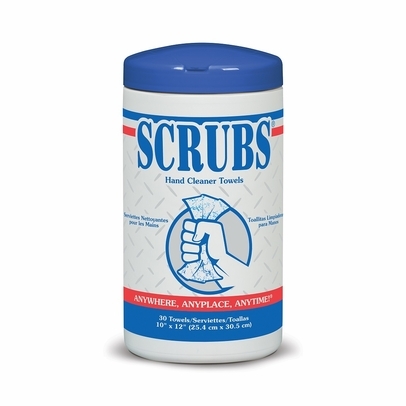 Hands are left feeling clean with no sticky residue and no rinsing required.